A customer contacted us with the following question: We are using Geovision GV-BL-2410 and GV-VD120D IP cameras and the client would like to turn off the audio surveillance. Can this be done and if so how? I�ve looked in the web interface software and seen where you can change the audio settings, but not turn them off. 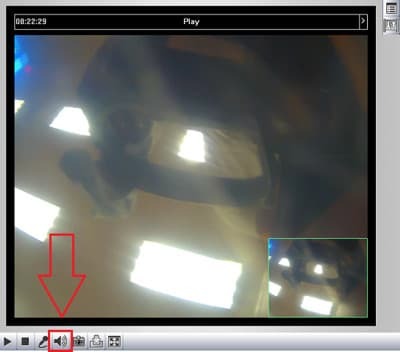 The audio setup on Geovision IP cameras depends on how you are connecting to the camera. It depends on how you are connecting to the camera. If you are connecting directly to the camera via the Internet Explorer web browser, please see below instructions. 1. Log into the camera. 2. Click the speaker button to enable or disable audio. If you are connecting to the camera to the Geovision NVR software then please use these instructions. You should now see the following dialog box. 2. For Live audio make sure Wave out is enabled. If you would like the audio to be recorded than select the Rec. Audio check box as well. 4. Now click Configure button > A/V Settings > Wave Out > Make sure the cameras you would like to hear audio for are checked and the ones that you want disabled are unchecked. 5. 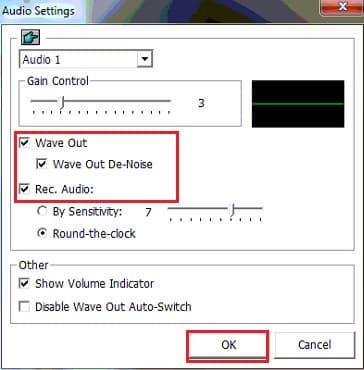 Once the wave out is enabled/disabled, you will need to click / select the camera you want to enable/disable audio for.